Sometimes images naturally lend themselves to high contrast, others don’t. In this I’ve shown what happens when you go too far. The starting monochrome conversion was inevitably quite flat, muddy looking even although given it was a grey overcast day on a muddy wasteland that’s to be expected. But overall, the scene just didn’t suit a high contrast approach. 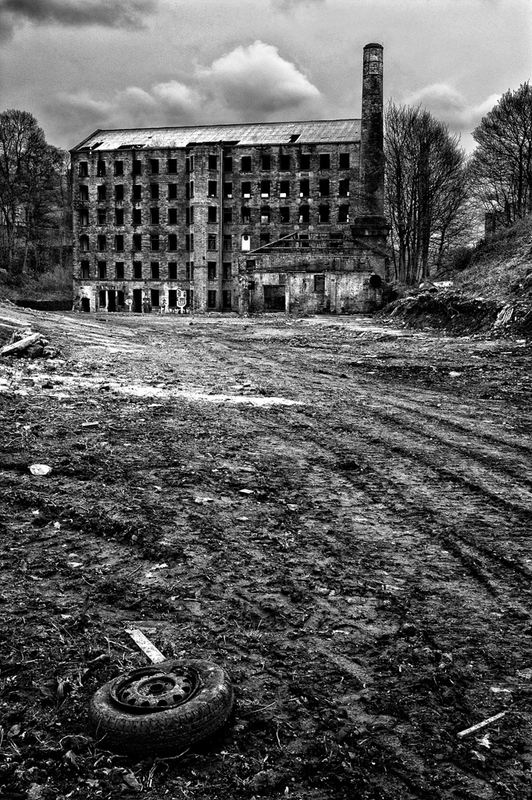 The mill itself will stand up to it, but the sky is a bit if a mess and the large white patches of unknown material on the wasteland take too much attention visually and need further toning down. I’ll rework this with a far more subtle look in the future, but the lesson from this is that there must be tonal balance in an image, and you have to take each image on its merits rather than apply a standard style and look to all images.